Over the years we have greatly decreased the amount of bread we eat in the house. As a once “go-to” for all things breakfast, lunch and dinner, it’s now only used occasionally and the quality of bread has gone from typical bagged breads to sprouted or homemade ones. So when I made this the other day, my oldest let me know the he “loved when I made bread”. Sweet right? I guess my kids have learned to enjoy the little things, like homemade bread. 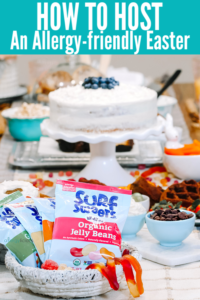 Now you could make this recipe with only 3 ingredients if you have a self-rising flour but since that was the ONLY flour missing from my cabinet, I opted to make my own by simply adding baking powder and salt. Still pretty minimal, right? 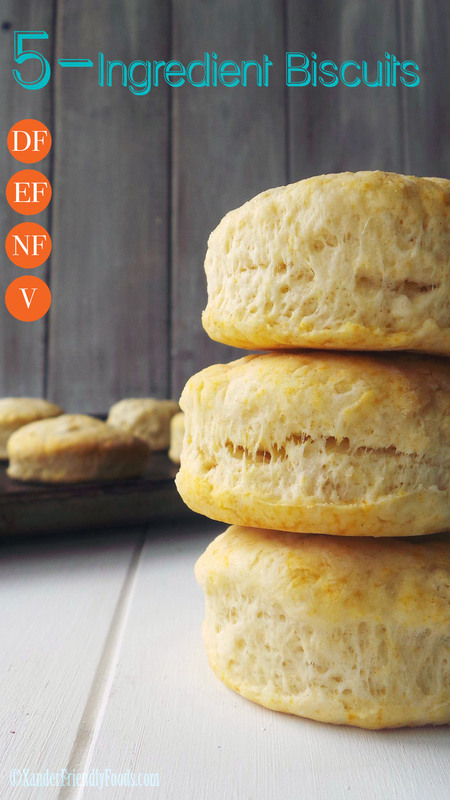 With only 5 ingredients, I was able to make these fluffy biscuits and still never use dairy or eggs. Are you ready to make some biscuits? 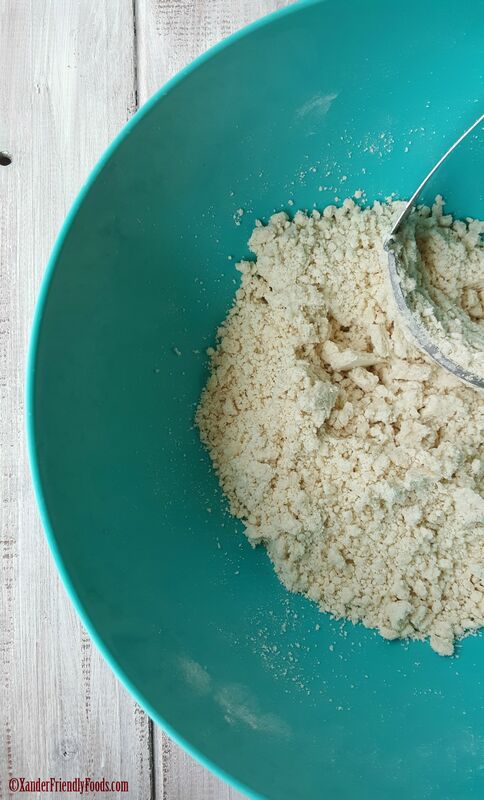 Whisk together your dry ingredients using a pastry blender and cut in the coconut oil. That’s right, coconut oil! No shortening or lard in this recipe. This is a healthier, allergy safe version and who needs all that stuff anyways when the dough starts to come together like this crumbly mixture. Stir in the dairy-free milk (I used unsweetened coconut milk) until a soft dough forms and it pulls away from the sides of the bowl. Then knead away on a lightly floured board. 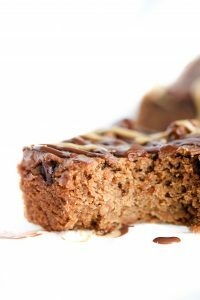 Do not over do it, this recipe still uses gluten and if you mess with it too long, you can cause it to become tough and break apart more easily. Then, roll it out. I rolled my dough out until it reached 1/2″ in thickness and used the top of a glass to make my cut outs. Who needs a fancy biscuit cutter when a simple glass will do? Transfer to your baking sheet and bake for 10-12 minutes. You’ll want them to rise and become lightly brown on top. Let them cool a few minutes before serving, if you can wait that long. Once the smell of freshly baked biscuits start to filter through the house, you’ll have a few hungry monsters looking at you asking “can I eat one now?”. Hopefully you have still have some homemade Dragonfruit Strawberry Jam on hand to make the smiles even bigger. 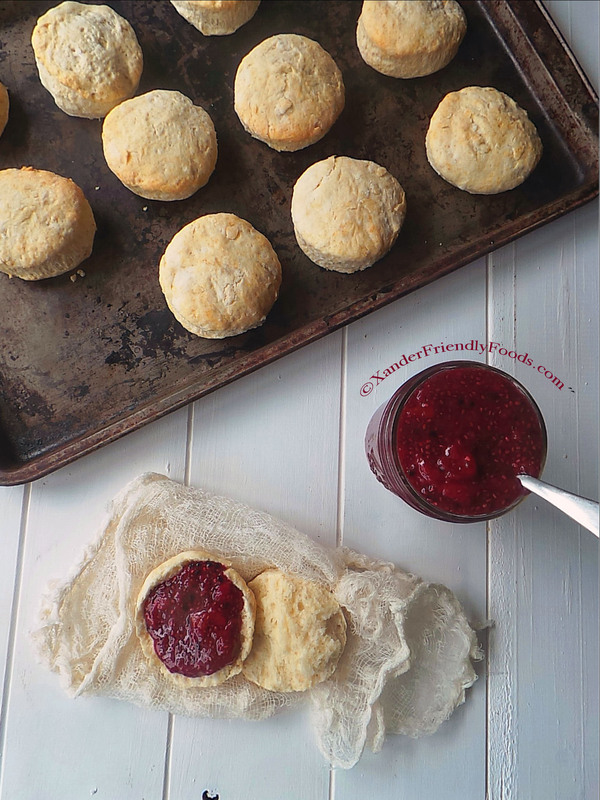 Coconut oil is the secret in making these light and fluffy, 5 Ingredient Biscuits. Preheat oven to 425 (or 400 if using convection oven). In a large bowl, whisk together flour, baking powder and salt. Add in the coconut oil and cut in using a pastry cutter until your dough resembles a small crumbly mixture. Add in your milk and stir until a soft dough forms and starts to pull from sides of bowl. 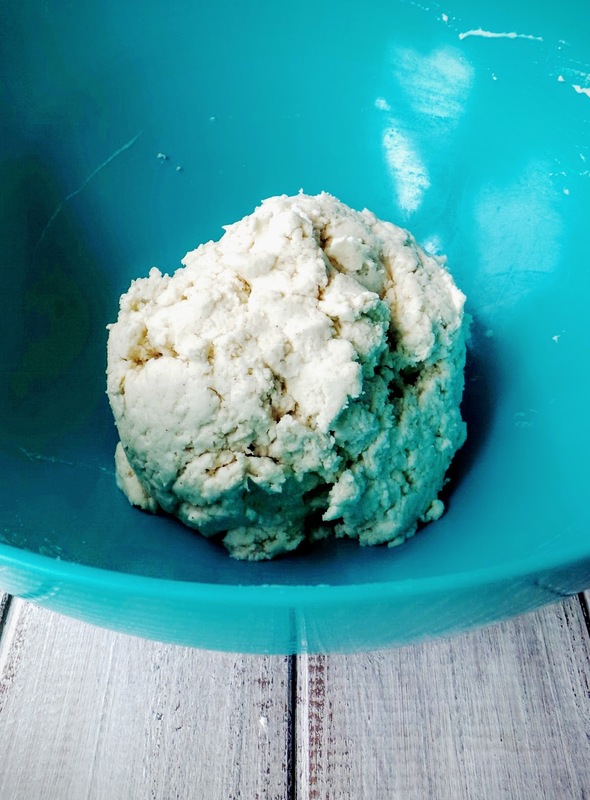 Turn out dough onto a lightly floured surface and roll to 1/2″ thickness. 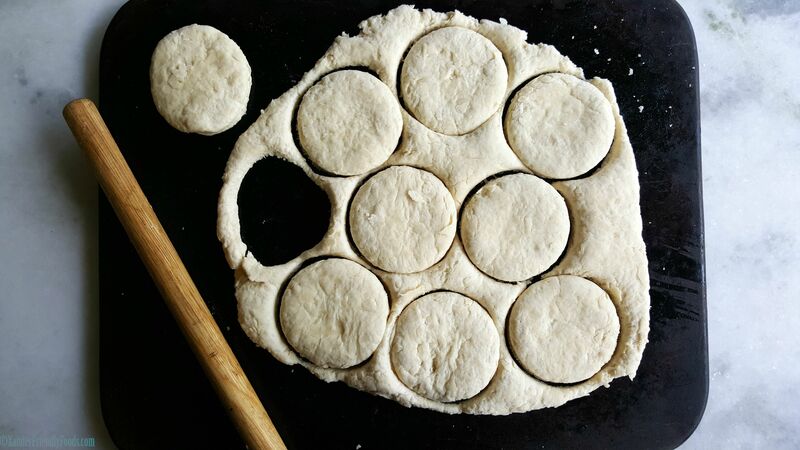 Cut out 2″ circles using the top of a glass or biscuit cutter. Bake 10-12 minutes, or until fluffy and golden on top. Remove from oven and allow to cool 5 slightly before serving. 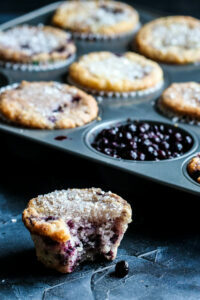 Have you made these with GF AP flour? I did make them with Bob’s 1-to-1 GF flour. Its the only brand I’ve had consistent results with. If you use a different one, let me know how it works out. Can the dough be made ahead of time…maybe the day before I will bake them?